At this time of year the freezer is creaking with the strain of having to contain all the soft fruit from the allotment! 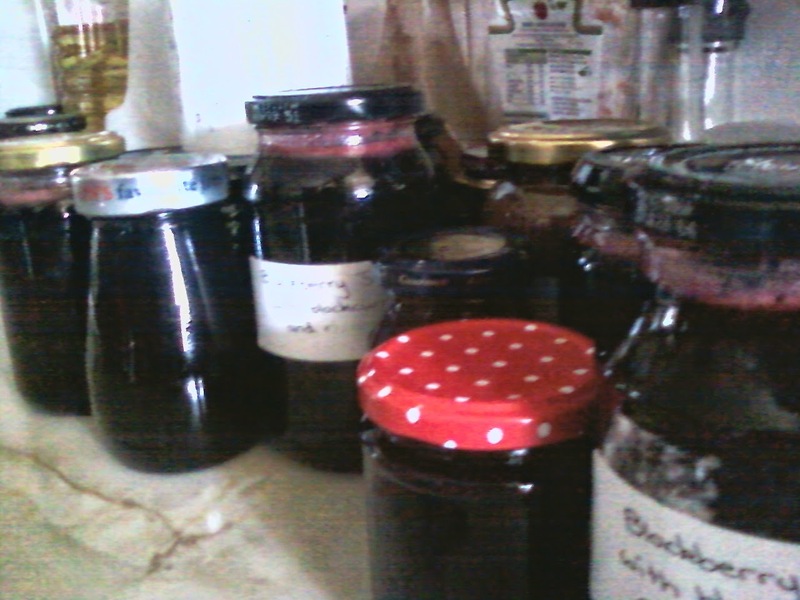 And it's award winning jam, well the local pub's annual vegetable show anyway! There's plenty of books (see http://cashandcarrots.blogspot.co.uk/2011/06/our-allotment-bible.html for one of our favourites) on the subject of making jam and I also don't want to give away any trade secrets, so I won't go through the process here, but suffice to say it is delicious, and varying quantities of strawberries, blackberries, raspberries, blackcurrants, rhubarb and damsons are used to make what ends up being sufficient jam for all year round use and a few for presents for others.